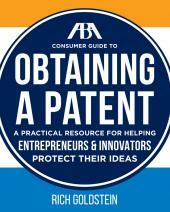 Thank you for your purchase ofThe Bulletproof Patent: A Practical Guide to Drafting an Enforceable Patent. 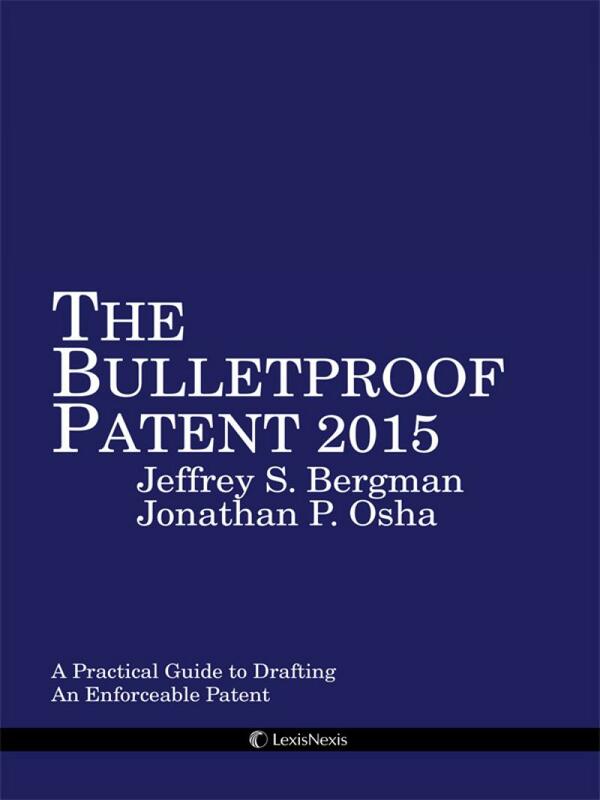 As explained by the authors, Jeffrey S. Bergman and Jonathan P. Osha, who together have a combined 30 years as patent practitioners, a "bulletproof" patent is one that does not require litigation because it is written understandably, is clear in scope, and is cleanly prosecuted. 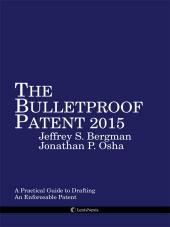 If nonetheless it is challenged, a "bulletproof" patent would withstand the rigors of litigation as well as any post-grant procedures in the U.S. or abroad. 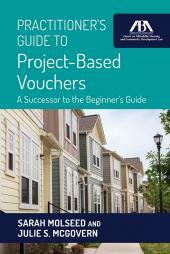 To that end and with these goals in mind, the authors sought to provide a guide that is readable, practical, and useful. They presented the subject matter in the order in which the patent process takes place, beginning with drafting an application, followed by prosecution, and finally by post-grant considerations. 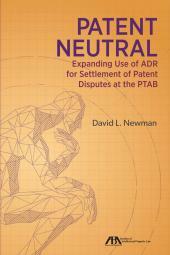 The guide throughout provides suggestions, best practices and hypothetical scenarios, and should be accessible to the patent prosecutor and litigator alike. Jeffrey Bergman's practice encompasses all aspects of intellectual property law, including patent preparation and prosecution, IP litigation, validity and infringement opinions, client counseling in intellectual asset management and interference and appeals before the U.S. Patent and Trademark Office, in the fields of chemistry, materials science and mechanical engineering, with an emphasis in oilfield technologies and nanotechnology. Mr. Bergman has prepared and successfully prosecuted hundreds of U.S. patent applications in a wide variety of fields including nanotechnology, all aspects of chemical practice including organic and inorganic synthesis, polymer science, ion exchange systems, materials development, computer software, semiconductor fabrication and packaging, mechanical engineering, subterranean drilling and oilfield services. He has successfully appealed numerous patent applications before the U.S. Patent Office Board of Patent Appeals and Interferences. In addition to his extensive involvement with domestic patent applications, Mr. Bergman has provided guidance to foreign counsel in the procurement of numerous foreign patents. Mr. Bergman has also served as lead counsel in Federal Circuit appeals, as well as handling reexamination proceedings, reissue proceedings, and Inter Partes Review Proceedings. Mr. Bergman has worked on a number of litigations involving oilfield and chemical technologies. He has also provided counseling to clients on freedom to operate, invalidity, and non-infringement opinions. Mr. Bergman has given numerous talks throughout Europe and Asia to clients and law firms to facilitate their understanding of the U.S. Patent system. John Osha's practice includes patent prosecution, IP litigation, and IP counseling in a wide variety of technical disciplines. John leads the electronics, optics, and physics group at Osha Liang. John has extensive experience in all aspects of patent preparation and prosecution. His practice places special emphasis on counseling relative to management and monetization of complex international IP portfolios. John's practice also includes intellectual property litigation, preparation of infringement and validity opinions, and post-grant proceedings at the U.S. Patent and Trademark Office. 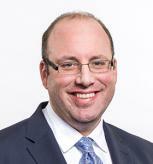 John was previously a partner at Fish & Richardson, P.C., and currently serves as deputy reporter general of AIPPI.